Product prices and availability are accurate as of 2019-04-21 16:58:14 UTC and are subject to change. Any price and availability information displayed on http://www.amazon.com/ at the time of purchase will apply to the purchase of this product. 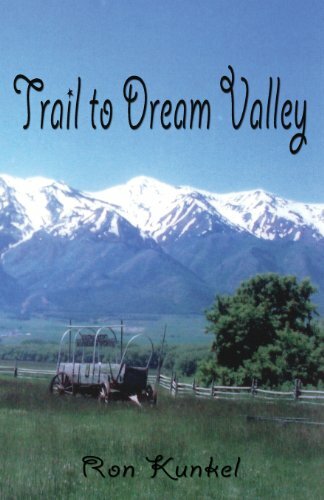 Author Bookstand is proud to offer Trail to Dream Valley by Bookstand Publishing. Bookstand Publishing offers books by the best indie authors throughout North America and the world. Bookstand Publishing is dedicated to offering original content to a broad audience and promoting great authors, literacy, and freedom of expression. Trail to Dream Valley has generated a lot of interest and excitement and we think it would be an excellent addition to your library. Bar-X wranglers are hardworking and contented. They found refuge from past sadness and loneliness. Some are veterans of the war between the states. The ranch crew includes a few younger men who are looking for approval and guidance from older, experienced ranch hands. Bar-X has gathered a herd of cattle comprised of their own, together with other rancher's herds, for the annual trail drive to market. Even experienced cowboys find surprises and the unexpected on a trail drive, and this one is no exception. 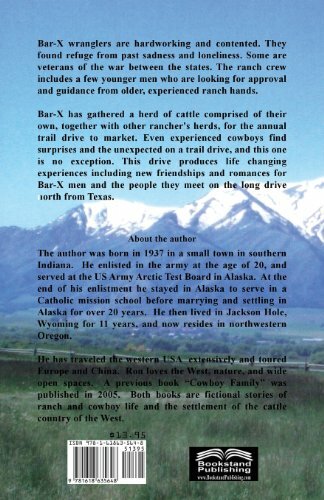 This drive produces life changing experiences including new friendships and romances for Bar-X men and the people they meet on the long drive north from Texas.